Our quality jewelry repair services can repair anything from watches to rings whether purchased here or somewhere else. 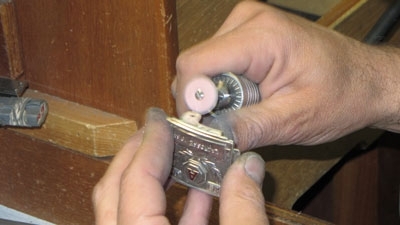 We take great care in restoring and repairing your items. Our highly trained and experienced goldsmiths, silversmiths, and watchmakers including our full-time on-site bench jeweler can tackle nearly any task; and any jewelry repair comes with a one year warranty. Whether it’s a broken chain or a garbage disposal disaster, our specialists will make it look like the day it was purchased. And if your piece is beyond any jewelry repair experts, meet with our designer, Jaci Schleigh to recycle your parts into a new treasure! Jewelry repairs are available while you wait! Nelson Coleman Jewelers offers a wide range of trusted jewelry repair services. Schedule an appointment to bring your jewelry in-store to get your free estimate! Contact us at 410-494-0080 or book your appointment online today.